The two candidates running in the special election for the 117th Georgia House District seat, one a Democrat and one a Republican, offered different responses to almost every question asked. As the forum progressed at Oconee Veterans Park, Republican candidate Houston Gaines criticized his opponent, Deborah Gonzalez, the Athens-Clarke County Democratic Party, and even moderator Russ Page. Gonzalez was soft-spoken in her responses, but she firmly challenged Gaines’ assertion that his experience as president of the University of Georgia Student Government last year qualified him for a seat in the General Assembly. The meeting consisted of two back-to-back forums, the first for the candidates for the 119th House District, made up of Oconee and Clarke Counties, and the second for candidates for the 117th House District. The 117th is dominated by Clarke County but includes three precincts in northeastern Oconee County--Athens Academy, Malcom Bridge and Bogart--and parts of Barrow and Jackson counties. When the session began at 6 p.m. Monday night, 70 people were in the audience, and others came in as the meeting in the Community Center at the park evolved. 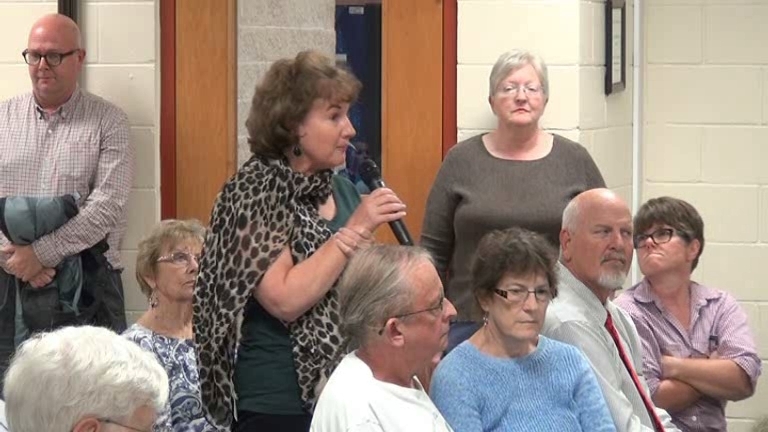 Audience members identified themselves as from Barrow, Clarke and Oconee counties, though Oconee County residents were most prominent, at least among those who asked questions. The crowd did thin for the 117th forum, reflecting the fact that 10 of the county’s 13 precincts fall into the 119th, but many audience members remained until the session ended just before 9 p.m.
Sarah Bell, Russ Page and I were the forum organizers. Not all of the questions asked of the candidates in the two session were the same, but several were repeated, including the one on campus carry and the one on Trump. The General Assembly earlier this year passed House Bill 280 allowing guns on campus, over the opposition of the chancellor of the Board of Regents, the president of the University of Georgia, and many vocal University of Georgia faculty members. Regina Quick, then representing the 117th but now a Superior Court Judge, and Chuck Williams, then representing the 119th but now director of the Georgia Forestry Commission, voted against House Bill 280. So did Sen. Bill Cowsert, who represents all of Oconee County and parts of Clarke County in the General Assembly. Republican 119 candidates Tom Lord, Steven Strickland and Marcus Wiedower all said at the forum Monday night that they supported campus carry. Democrat Jonathan Wallace said he opposed it. Republican Houston Gaines didn’t say whether he was for or against campus carry when the question came up in the session for the 117th, while Democrat Deborah Gonzales said she was opposed. In both sessions, Russell Edwards, an Athens attorney who is past chair of the Athens-Clarke County Democratic Committee, asked the candidates how they voted in the 2016 presidential election and if they would vote the same way again. Lord, Strickland and Wiedower said they voted for Trump and would vote for him again. Gaines said “I certainly would not be voting for Hillary Clinton,” but he did not say if he would vote for Trump. Gonzalez said she probably would vote for Clinton and certainly would not vote for Trump. Page had said in the introduction that he did not want someone who “is a member of one of the campaigns, or family or friend of the candidate” to ask questions so as to give time to others in the audience. Gaines next launched in a critique of “Athens Democrats” for removing Athens Mayor Nancy Denson from the Democratic Party Committee after she endorsed Gaines. Gaines, who called himself a “life-long Conservative Republican,” had run Denson’s last campaign for mayor. Elections for the Athens-Clarke County Mayor and Commission are nonpartisan, though Denson is a prominent Democrat in the community. Gaines said that Edwards “led the charge to oust” Denson and called on Gonzalez to “disavow” what Edwards had done. Gonzalez said that Edwards was not part of her campaign. Gaines returned to his complaint about how Denson was treated in response to a subsequent question on an unrelated topic. At the start of each of the two forums, the candidates were given a chance to make a three-minute introduction, with the order determined by chance. Page said that each candidate would get to answer each of the questions posed and asked that endorsements or statement not be made. Audience members posed 14 different questions in the first forum and 13 in the second. Included were questions about the Las Vegas shooting, preservation of monuments, gerrymandering, charter schools, health care and women’s issues. The second question asked in the first forum was on gun control, and campus carry came up in the responses. The question that followed was on campus carry specifically. Campus carry was the fourth question in the second forum. Gaines said “we can have a better conversation about the topic” in January when the General Assembly meets again and one semester will have passed since the law took effect. Gaines, Lord, Strickland and Wiedower had answered a question on campus carry at the Oconee County Republican Party meeting late last month, and Lord, Strickland and Wiedower had supported campus carry, as they did on Monday. The question on religious freedom came up only in the first forum. Wiedower said that a religious freedom bill should have passed this past year and that he opposed Gov. Nathan Deal’s veto of a similar bill the year before after businesses objected to the bill. “I don’t think our government should be put in a situation where we’re being held hostage by any large industry,” he said. Lord said he was in favor of a Religious Freedom Restoration Act for the state. “I believe that Nathan Deal should not have bent the knee to big government last year, should have signed RFRA into law,” Strickland said. Below is the video of the first forum for the four candidates from the 119th House District. I have trimmed off Page’s comments, so the video begins with the introductory comments of the four candidates. What follows are the time markers for each of the questions asked. The answers follow the questions. Vote in 2016 Presidential election: 36:15. Health care and Medicaid expansion: 49:04. Desired House committee assignments: 1:01:50. Candidate Forum 10 9 2017 District 119 Only from Lee Becker on Vimeo. Below is the video of the second forum for the two candidates from the 117th. Once again, I have trimmed off Page’s comments, so the video begins with the introductory comments of the two candidates. I've also shown the time markers for each of the questions asked. The answers follow the questions. Vote in 2016 Presidential election: 8:40. What learned from Denson, Quick: 18:44. Experiences relevant for General Assembly: 37:26. Working with party caucuses in General Assembly: 44:34. OCO: Candidate Forum 10 9 2017 District 117 Only from Lee Becker on Vimeo. 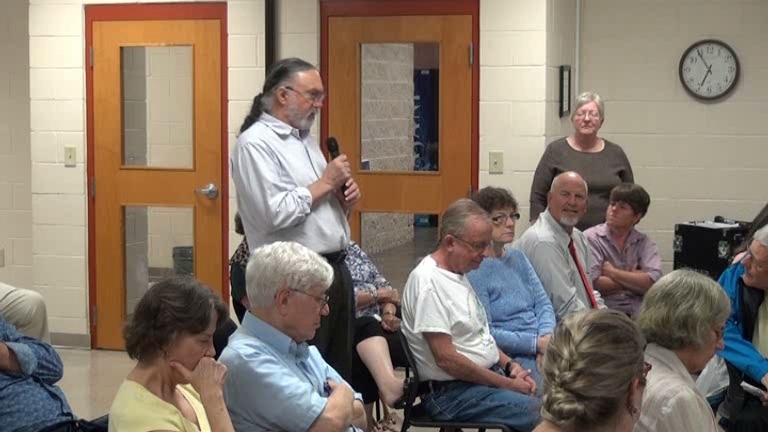 For those who prefer to watch the full forum as it transpired, the video is below. The only editing I did for this version was to remove the introductory comments Page made as the second session began. Those comments were a repeat of the comments he made at the beginning of the first session. OCO: Candidate Forum 10 9 2017 from Lee Becker on Vimeo. Deborah Gonzalez is clearly more experienced and able to work in the Georgia legislature than Gaines. Gonzalez is clear and concise on all issues and most importantly values transparency. This discussion demonstrates her support of our schools, community and values in District 117. I will be voting for Deborah Gonzalez. I hope others will look carefully at Gonzalez so you too can see she is the best candidate. At the end of the day the Representative does what is best for everyone in their district. Doesn't always happen, but all indications are that Ms. Gonzalez is that person. I think it's kind of funny that Gaines thinks being President of Student Government qualifies him to be in the general assembly. He may be qualified for other reasons, but that is not one of them. SGA does very little (understandably since those running it are full time students). I find it worrisome that so many people endorse him despite his lack of experience. Couldn't they have found a more seasoned Republican to run? I want to encourage everyone to follow Vicki Krugman's excellent example and use your name in responding. It is important to remember that these candidates are our fellow citizens who have put themselves forward for service to us. We need to treat them with respect. Part of that is identifying ourselves when we ask questions, offer praise and provide criticism. Gonzalez is a very good communicator. Seems to be a great lady. Unfortunately, she is very liberal on nearly every issue. I don't believe she could be my voice in Atlanta. I do appreciate her willingness to run and she should look at a local seat in ACC. 1. To throw in the student body president reference in the introduction of this clearly shows personal leanings. It was one sentence in the rest of an introduction. Gaines is a lifelong Athenian and has contributed to this community in a plethora of ways. He is experienced. Frankly, nobody knew who Deborah Gonzalez was in this community until she ran for this seat. Houston -- and his entire family -- has been involved and made a difference. 2. Houston did not criticize Russ Page. Page had no way to know that Russell Edwards is affiliated with Deborah's campaign. Houston was criticizing Russell Edwards for asking a question after Russ Page had clearly outlined the rules prohibiting someone like Edwards from asking a question. 3. The quote about campus carry from the Oconee GOP is disingenuous. The author knows very well that quote is out of context from the rest of the response. The forum for the two candidates for the 117th was considerably feistier than the forum for the candidates for the 119th. I tried to reflect that difference through Gaines’ criticism regarding Mayor Denson and in Gonzalez’s critique of Gaines’ reference to his student government presidency. Gonzalez did not respond to Gaines in her introductory comments, but she came back to this reference later and contrasted her experience with that of Gaines. She was quite assertive and clearly had been looking for an opportunity to criticize Gaines for talking about his student government experience. In answering the question from Russell Edwards, Gaines turned to Page and said “I would not say that Russell is not affiliated with either candidate.” He then addressed Edwards’ and turned back to Page and said “I wouldn’t say that Mr. Edwards is not affiliated with either campaign.” Clearly it was meant as a criticism of Page for allowing the question. Edwards clearly is active in the Democratic Party, which is supporting Gonzalez. Pages also recognized former Rep. Chuck Williams, who is active in the Oconee County Republican Party, which is supporting Gaines. Williams asked a question about how Gaines and Gonzalez would deal with their party caucuses. That gave Gaines a chance to tout his ability to work with the majority party. I think Edwards and Williams were playing similar roles. They asked questions designed to make a point. Both are residents of the counties. Both are active in the parties. Neither, as far as I know, is an official part of the campaign of either candidate. As such, they were not precluded from asking a question under the rules that we had formulated in advance and that Page articulated. So at the Sept. 28 meeting, Gaines put himself in the group that felt the bill had too many exemptions. On Monday night, he didn’t. That is the difference I was noting. I agree, having read your critique, that it would have been better to have clarified that the quote from the Sept. 28 meeting was not complete. Again, I thank you for expressing your concerns. Lee, a very balanced presentation of the debate. I do not see the bias or concerns by the previous poster. Mr. Gaines was clearly reluctant to answer some questions directly while Ms. Gonzalez did. In the same vein, noting that questions were raised about counting student government association work as political experience while pointing out that questions were also raised about Ms. Gonzalez having no previous political involvement is an example of that balance. I would encourage your readers to visit the candidates' respective sites -- houstongaines.com and votedeborahgonzalez.com.